Gavimar Cala Gran Costa Del Sur Hotel & Resort is situated by the beautiful Cala Gran beach in the Cala d’Or village of the Balearic Islands of Spain. The Cala Gran beach is the deepest and the biggest of all the beaches in Cala d’Or area. The sand is soft, white and fine that provides a stark contrast to the clear blue waters of the Mediterranean Sea. The hotel is a family-friendly property that provides affordable luxury at competitive prices. 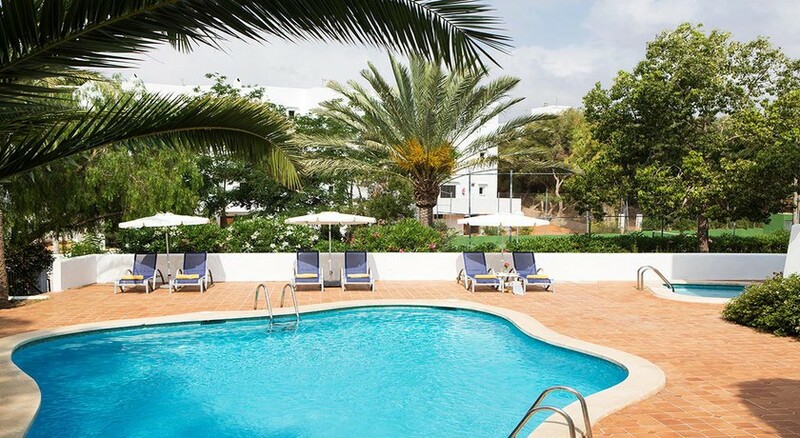 Well connected to the other areas of Cala d’Or, this hotel is a safe bet when it comes to finding affordable accommodation for your family during the summer holidays. The well-appointed rooms, suites and apartments come with splendid views of the sea or the garden and provide a relaxing stay. The in-house restaurant offers a variety of cuisines to satisfy your taste buds, while the bar, featuring a dance floor, is an ideal spot for a relaxing drink or tapping your feet to great music. Among recreational amenities, the hotel offers 4 swimming pools, kids’ pool, playground, children’s club, gym, outdoor sports, indoor games and entertainment activities. The hotel is strategically situated in Cala d’Or. The beach is just 50 metres away from the property. The town centre, which has plenty of shopping, eating and entertainment options, is 300 metres away. The grand city of Palma is 65 km away and Palma airport is nearly the same distance from the hotel. There is direct transfer from the hotel to the airport every day. 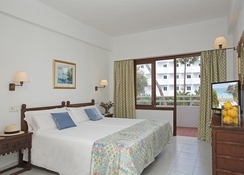 The rooms of Gavimar Cala Gran Costa Del Sur Hotel & Resort are divided into 6 different types. The hotel has single rooms, double rooms, superior double rooms with sea view, suites with sea view, studio apartments with garden view and one-bedroom apartments with pool view. All rooms come with standard features such as laundry and daily cleaning services, air conditioning, satellite television sets, high-speed internet access, personal lockers and so on. Additionally, superior rooms have furnished balconies or terraces, kitchenettes and separate bedrooms with twin beds. The hotel has “all inclusive” deals, which combine room charges with food bills. The hotel’s all-inclusive option includes access to buffet breakfast, lunch and dinner. The hotel also offers an extensive range of pastries and bread. In buffet lunches and dinners, the hotel offers wide-ranging hot and cold buffet options that include local, national and international cuisines. Dessert buffet includes fresh, seasonal fruits, ice creams and cakes. Snacks, salads, hamburgers, hot dogs, chips and cakes are readily available at specific times throughout the day. Alcoholic drinks are served between 10 am and 11 pm at one of the 3 bars. Cala Gran has a lot to offer when it comes to entertainment. The hotel has 4 expansive swimming pools and separate pools for children. Further, the pools are heated during winter. The reception organizes excursions and day trips to nearby places. Advanced booking is required. Guests can also visit the town centre, which is filled with karaoke bars, dance clubs, discos and so on. The stunning beaches of Cala Gran are a stone’s throw away, where one can swim, lounge, sun-bathe or indulge in water sports. Guest can also visit the nearby Jaume Ranch and enjoy activities such as horse riding. The 18-hole golf course, Golf Vall D’Or, is 7 km away from Cala D’Or. The hotel also offers mini-golf, volleyball, tennis, table tennis, billiards, diving, gym and archery. The younf ones can have fun at the children’s playground and mini club. Absolutely great holiday couldn’t of asked for better treatment or accommodation. Great location, nice large clean rooms. Bar areas & entertainment let it down. We returned here after 38years, we had spent our honeymoon there in 1980 and were pleasantly surprised . Everything was pleasant and fairly cean. We had very noisy neighbours one night but when we reported it the staff dealt with it immediately. We enjoyed it so much we came straight home and booked again for next year. Lovely staff, excellent food, would definitely go back again. Good hotel overlooking the ocean.... 5 minute's to the popular beach. Very clean rooms and great intertainment for the family. ..
Was not too bad in terms of noise cause we around October last year. Lots of plus than minus one thing I could say negativexperts is its expensive to buy your food and drinks so all inclusive can save you money. It's near local center for outings bar and restaurantsee. The hotel was clean, the food was really good and the staff very friendly. Much better than I anticipated for a 3 star hotel.